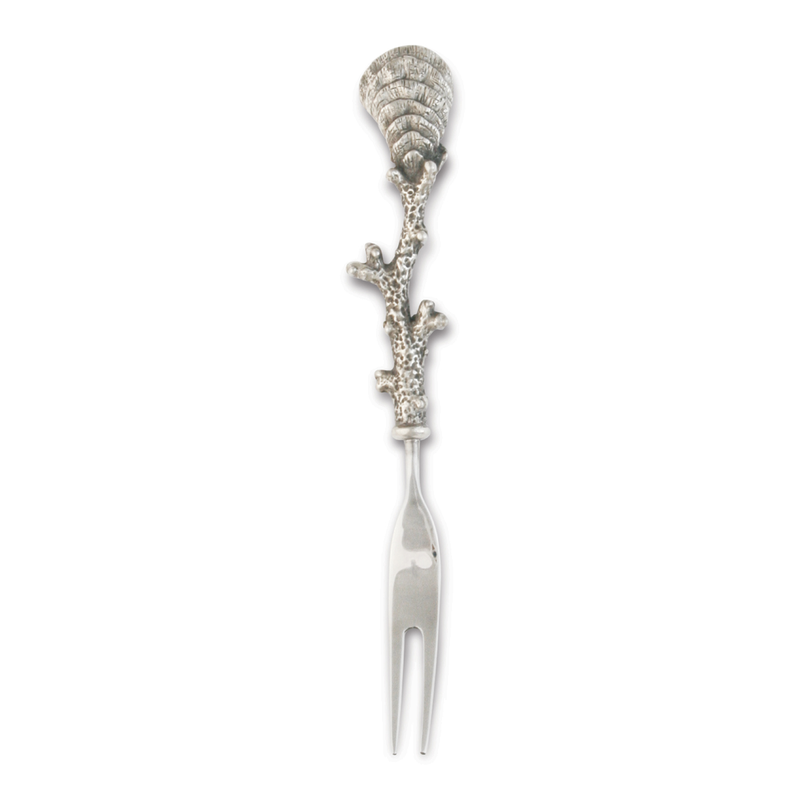 With its cast coral branch and fan shell handle, the Coral Hors D'oeuvre Fork is the perfect addition to your oceanside dining room. This coastal kitchen decor ships from the manufacturer. Allow 3 to 4 weeks. Cannot express ship. For more pieces, we encourage you to take a moment to check out our extensive collection of coastal kitcen decor at Bella Coastal Decor now.